Food safety is an important priority for CHEP. The Canadian Hatching Egg Quality (CHEQ™) program is the national standard for hatching egg producers when it comes to on-farm food safety. A comprehensive set of good production practices and record keeping, CHEQ™ guarantees that all eggs produced and distributed by Canadian hatching egg farmers are of exceptional quality. CHEQ™ is based on HACCP (Hazard Analysis Critical Control Point) principles, which work to find, correct, and prevent hazards throughout the production process. 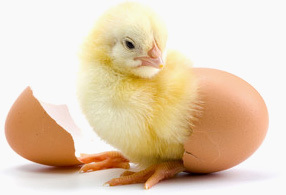 For hatching egg producers, the critical points to control food safety hazards on the farm are the medications used for chicken health, egg sorting and egg refrigeration. CHEQ™ also covers areas such as biosecurity, poultry health, egg handling and storage, pest control and cleaning and disinfection. Every year farmers are audited by trained auditors to make sure they are following these rigorous food safety requirements on their farms. Farmers must continue implementing the program to remain certified. CHEP is working on developing a system that defines national standards for farmer training and certification, auditor training, and program record-keeping. This will ensure that the program is being delivered consistently and effectively across the country, and will follow the requirements laid out by the Canadian Food Inspection Agency (CFIA) On-Farm Food Safety Recognition Program. CHEQ™ is consistent with the food safety approach developed by the Canadian Food Inspection Agency and complements other food safety initiatives developed for processors, feed mills, hatcheries and chicken farmers. It is a critical component of the Canadian poultry industry’s “gate-to-plate” food safety strategy.